Jhumpa Lahiri's The Lowland is a magnificent novel, under consideration for both the Man Booker Prize and the National Book Award. I am honored to read it as part of the "very-long" list of the Maine Readers' Choice Award. I finished it more than a month ago, but I haven't been able to write about it, mainly because I want so much to do it justice. As much as I insisted that I like a book that has a very compact time frame (in my post about The Dinner), I have to say that Lahiri can achieve the opposite - a book that spans an entire human lifetime. As I've had time to ruminate, I feel that The Lowland is about ABSENCE and IMAGINED EXPECTATIONS. I think most often it's the suddenness of absence that causes pain, when a person is taken away from you: an unexpected death, a romantic or marital breakup, a parent leaving a child. When there's someone who is suddenly absent from your life, it creates heartache, and you, the heartbroken one, create an imaginary version of that absent loved one. By becoming an idealized version of themselves, because in your pining you remember, over and over again, the good things about that person. Or a monstrous version because their flaws grow larger and larger. Gauri creates an idealized version of Udayan, her young, political-activist husband who is slain before her eyes. No matter the degree to which Subhash, his brother, protects her by marrying her and bringing her to the United States, Gauri can never "re-feel" that intense, young love she felt for her first husband, or able to fully realize the veil of secrecy that she and Subhash create to protect Bela, Gauri's daughter by Udayan (who Subhash raises as his own). That feeling of absence - the life she wanted to have with the man with whom she wanted to have it - gnaws at her throughout her life. 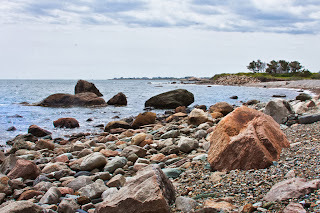 It poisons any happiness should could have found in the life she has (in Rhode Island with a lovely daughter and a husband who cares for her) because she pines so deeply for What Might Have Been. She believes him to be a noble martyr for a political cause (the Naxalite movement); it is only late in life that she learns the truth of his actions, and the degree to which Subhash had rescued her from a similar violent demise. The life that Subhash makes for himself, and then for Gauri and Bela, is in coastal New England (where I live). 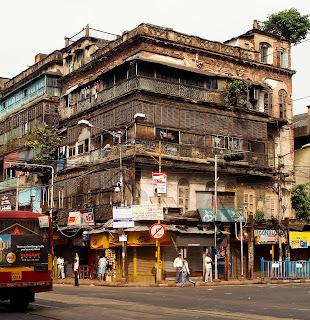 His new home, and life, is totally unlike the home he had in Tollygunge (a city just outside of Calcutta/Kolkata) but it is the home HE has created. He isn't compared to, or mistaken for, Udayan. It is a fresh start, free from all the deep traditions of Bengali life. 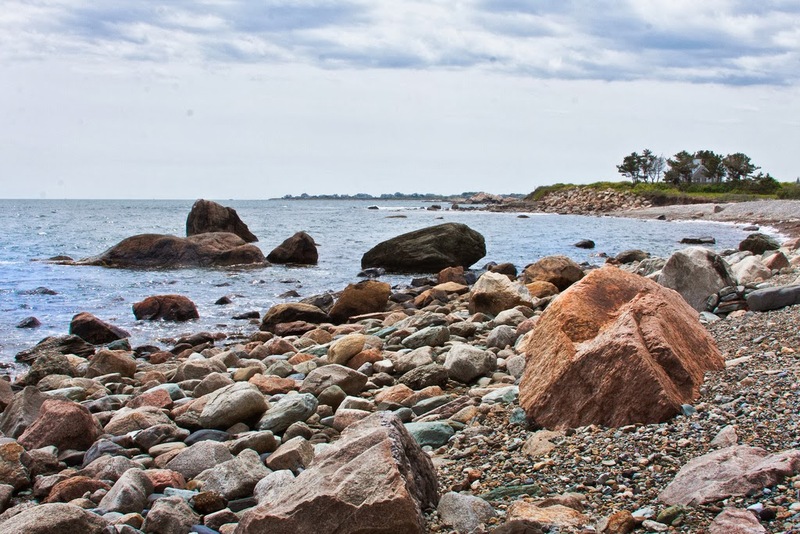 But all life has difficulty, and even Rhode Island can't be a perfect refuge for all three of them. Gauri could be an unlikable, selfish character, but I view her as an honest admission that just because you are a woman who is a parent, it doesn't mean you can transform your total identity into "Mother", and certainly not a "Pinterest Mom." (By contrast, do we expect men who are parents to be identified first as a "father"? No, we do not.) Bela was unplanned, and Gauri struggles with the day-to-day life of the stay-at-home-mom raising her. Often, Gauri is ABSENT even when she is physically present. I think this feeling is more common than many women, certainly many intellectual women, are willing (or brave enough) to admit. Society sanctifies motherhood as endlessly gratifying - by the thousands of mommy blogs, cute photos on Facebook, etc etc. But Gauri isn't a "natural mother," she finds her satisfaction in study and the Life of the Mind. I can relate to this. It doesn't mean she doesn't love Bela, but her life isn't what she had once imagined for herself. Caring for a small child can be monotonous and grating. Putting your intellectual pursuit on the side can be discouraging. So she runs away, but rather than running away from her family, she believes she is running away to herself. But there is always a cost, and Gauri does pay a price for her escape. I have tried not to judge Gauri's deep need to be a philosopher, not a "mother," and I think that Lahiri allows us into Gauri's thoughts without criticizing her for them. "Isolation offered its own form of companionship: the reliable silence of her rooms, the steadfast tranquility of the evenings. The promise that she would find things where she put them, that there would be no interruption, no surprise.... it was something... with which she had entered by now into a relationship." (p.237) Lahiri shows us that Gauri misses out on the love and joy she might have had; she tries to create self-fulfillment (imagined expectations) resulting in a certain lonely and empty sadness. I tend to write about books without so much "spoiler" as this post contains, but for me, it would have been impossible to reflect on the novel without revealing some key elements. But there is SO MUCH MORE that hasn't been revealed here. I've discussed Gauri at great length, but I've barely scratched the surface of Subhash and Udayan, let alone a multitude of other characters that matter in this story. And I've barely touched on the plot. READ THIS BOOK. 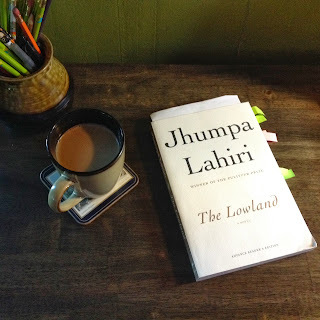 My deepest congratulations to Jhumpa Lahiri on another tremendous book! Note: I received a review copy of The Lowland from the publisher. Another Note (11/21/2013): This book was selected as a National Book Award Finalist! Aimee...this one wasn;t on my Team reading list for Maine Reader's Choice, but it's sure going into the box marked "definitely going to read." I am a huge fan of Lahiri and can't wait to dive in. I confess to only skimming your review to avoid the spoilers, but what I skimmed just made me long for a big snowstorm, a cup of hot tea, a good fire and time to settle in.